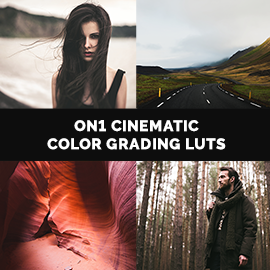 25 LUTs to color grade your photos and give them a sharp, cinematic feel. LUTs for ON1 Photo RAW 2018.5, Lightroom, and More! • 5 LUTs for ON1 Photo RAW 2018.5, Lightroom, and More!